Test Course: 40 miles on a closed circuit course. Test Conditions: 92-100 degree California summer heat (dry). 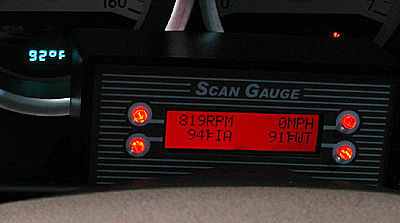 Scan gauge which reads temperature directly off of the vehicle's intake air temperature sensor. Refresh rate is approximately once every 5 seconds. 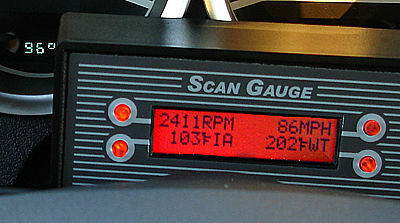 These were the last in the series of tests using the Frankentake I. 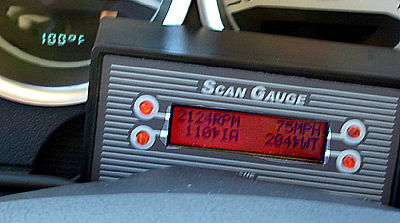 They measured air from the inside of the intake, directly off of the engine's Intake Air Temperature (IAT) sensor, which the vehicle's engine management system uses directly. Round 1 illustrated temperatures from the top of the air filter. Rounds 2 through 5 collected readings on the front side, back side (facing the engine), near-bottom and at the end cap of the filter in an attempt to find heat at any point where air is ingested into the system. 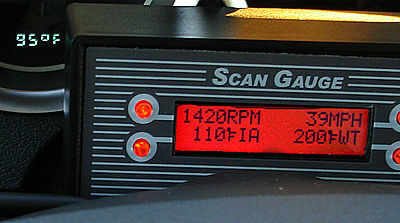 This test would cement the earlier tests or cast them into doubt based on whether the actual vehicle IAT sensor agreed with the external sensor readings. 48 individual samples were collected across the entire test. 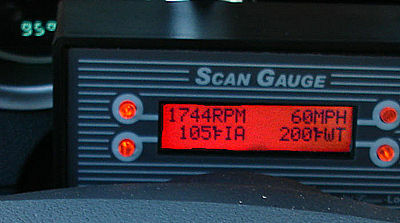 First lets illustrate the baseline between the vehicle's external thermometer and its internal IAT. Ideally, when the engine is cold both readouts are the same. 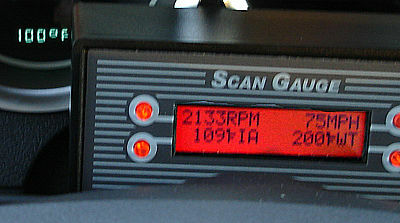 Worth noting: the external thermometer used in Rounds 2-5 was calibrated to match the vehicle's external ambient air temperature reading exactly. Here's the IAT readout. Taken about two seconds after engine start. We're two degrees off. So account for this in the readings below. 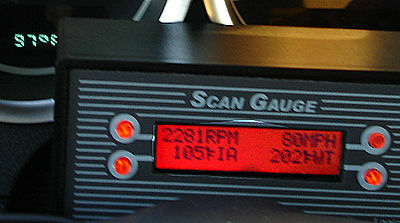 At slow and steady speed, we're looking at about 13 degrees above ambient. Increase speed. We're down to 8 degrees above ambient. Increase further and the difference is around 7-8 degrees; mostly still 8. Worth noting at this point: it was obvious that temperature inside the intake elbow was much more steady than observed during the at-the-filter tests. Bump up the speed further and we go to a steady 6 degree differential. Final increase. Just enough to measure the next persistent temperature drop, now 5 degrees above ambient. Based on prior observed behavior its likely this drop in differential would have continued with more speed. Note: the above photos were enhanced to make the screen readout more clearly legible (brightness and contrast were enhanced in the screen area only). In many photos the enhanced/un-enhanced edge left by the enhancement software is plainly visible.